Manual bag dump station is filter system is a self-contained, compact system. 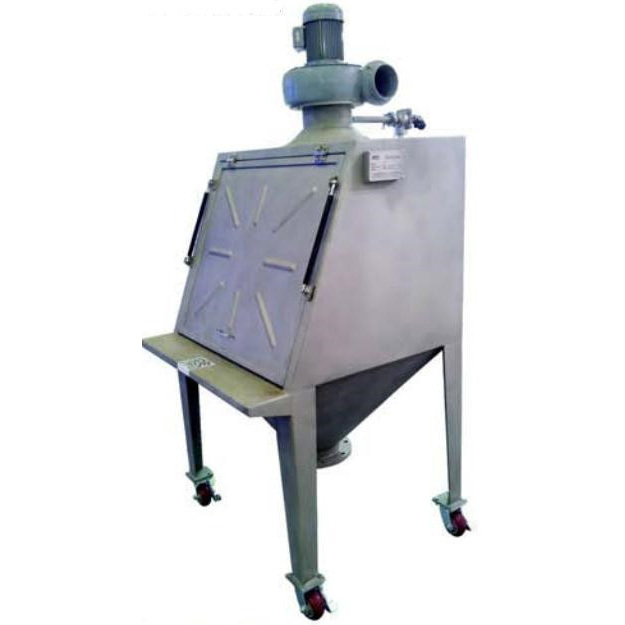 The system eliminates dust by recapturing particles and returning them to the hopper. Automatic bag dump station called dump station or manual bag opener. Its filter system is a self-contained, compact system. The system eliminates dust by recapturing particles and returning them to the hopper. The operator puts the bag on the support and pushes it into the dump station. Then he slits the bag with a vertical cut and shakes it until empty. The bag content may be discharged through a hopper into the feeding device. The built-in fan can recycle the dusty gas caused during the course of bag unpacking. 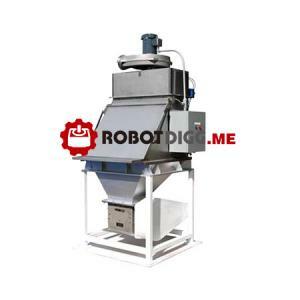 Automatic pulse back blow dust collector will clear the dust at a regular time. The empty bag can be sent to the optional waste bag compactor to ensure the site in clean environment. Wide material can be selected: stainless steel (SS304,SS316,316L)and carbon steel and etc. The construction is compact and beautiful in design. Available with die-dusting filter equipment or centralized dust suction. Hoppers with different capacity volumes. The height of supporting legs can be adjusted. Accessories for connection of waste Bag Compactor. Accessories for connection of automatic bag cutting mechanism.